The body of the last missing crew member, the captain of the "Volgo-Balt 214", has been found on Jan. 20 in a rescue boat, which belonged to the vessel. The boat was found 48 miles from the Russian port of Tuapse. 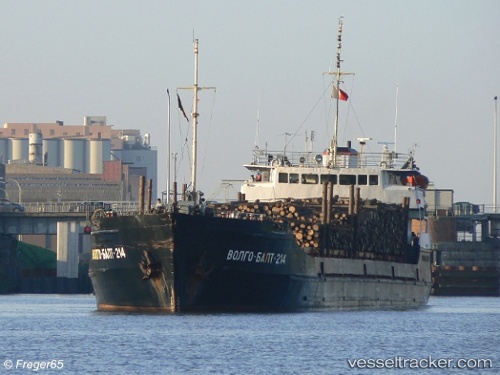 The body inside was identified as the Azerbaijani citizen Turbat Ismayilov, who was the captain of the vessel. On Jan 7 two more bodies of crew members of the "Volgo Balt 214", captain Ismyilov Turbat and the Ukrainian Bodnik Ruslan (31), have been found off the Turkish Black Sea coast. The search for two more was continued by two SAR boats and a helicppter. Before, the body of an Azerbaijan crew member had been pulled out of the water. On the whole six men died and seven were rescued by the Turkish Coastguard 80 miles off the Samsun province. Among the creew were 11 Ukrainians and two Azerbaidjans. Survivors stated that a high wave broke off the bow of their ship which had been carrying 3.300 tons coal.